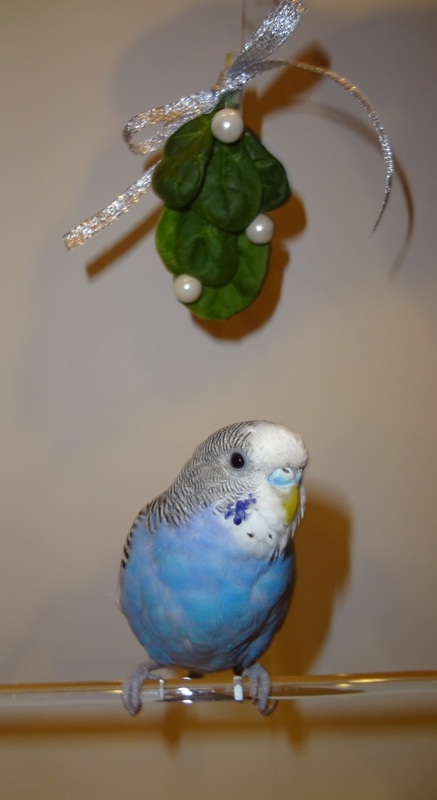 This entry was posted in Holiday Fun and tagged budgie, Cooper, holiday fun, kiss, mistletoe, parakeet by Michelle M.. Bookmark the permalink. I could just kiss him! Me too – A million times! That looks a little like basil. But he is totally kiss worthy. It’s really spinach. Which means you get 2 kisses.